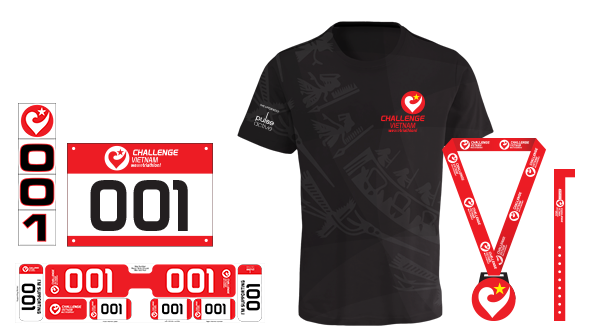 In case runners can’t participate on race day, it is optional to choose the guarantee for return (included in the registration form when you register). The guarantee fee (700.000 VND; 30 USD) ensures 100% payback of your registration fee, as long as it is requested before June 1, 2019. – The guarantee for return fee is not refundable. Nor is the Travel Package (hotel, flight, etc). – Any changes in ownership will not be accepted. – To process the reimbursement, you must be the name given on registration and you must send an e-mail to registration@pulse.vn before the deadline (June 1, 2019) from your registered email. WHAT IS INSIDE YOUR RACE KIT?